Memorial Day observance in Dorchester, at Florian Hall. May 30, 2016. 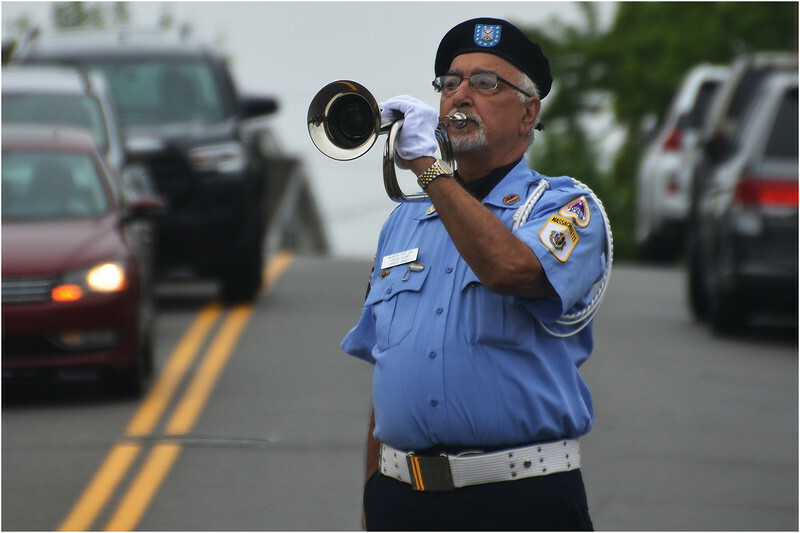 Traffic on Hill Top Street waits as Ernest Abreu of the McKeon Post plays taps on his bugle.